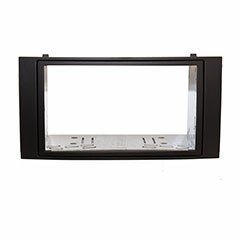 This unit will connect to the back of your Volkswagen radio with a Quadlock connector and give you a direct low level line out that you can connect to an aftermarket amplifier. Select Pioneer to Audi and Volkswagen "GPS Antenna Adapter"
Custom Volkswagen MK5 and MK6 Mountable USB extension made with a USB 3.0 cable to prevent problems with CarPlay and Android Auto. 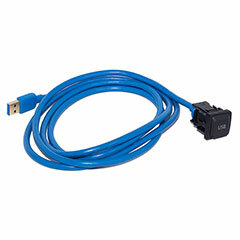 can also be used in normal USB applications. VW steering wheel control adapter. See application guide for compatible cars. 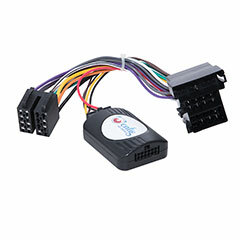 Allows you to connect a single-din connector into a double-din radio. CD Changer Converter. From VAG 8 pin to 12 pin radio. CD Changer Converter. From VAG 12 pin to 8 pin radio.